Oahu Travel Guide - Your Complete Guide to the Island - Oahu is one of the largest Hawaiian Islands and definitely the most popular. 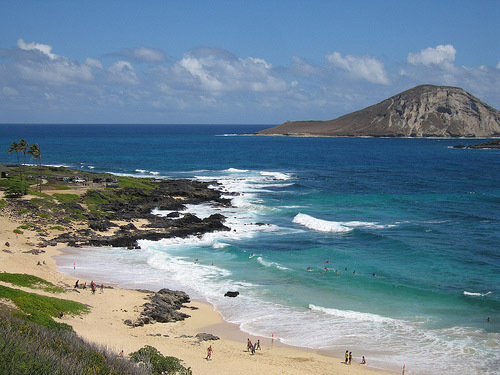 Nicknamed "The Gathering Place", Oahu is home to more than 85% of the state's population. Honolulu, the state capital, is located in Oahu. Since this is the only real metropolitan area in the state, Oahu is often referred to as the heart of the Hawaii. It has the best of both natural beauty and modern conveniences. If you like the feel of a big city, you can spend your trip in and around Honolulu and Waikiki. And if you look just a little beyond, you will find pearly white beaches, pounding surf, two spectacular mountain ranges, and beach towns that promise a serene, relaxed, and fun-filled vacation. Here is your complete Oahu travel guide to help you plan your dream vacation. 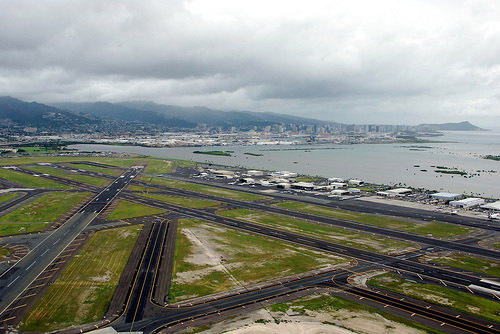 Honolulu International Airport, situated just outside of Honolulu, has regular flight services and is well connected with almost every part of the world. To travel from the main terminal to the interisland terminal, you can take the Free Wiki-Wiki shuttle service. And to go into the city, you can take Oahu's bus system which is officially known as TheBus. This bus system operates between all towns and popular tourist spots, and you can go almost anywhere in Oahu on this bus. In fact, TheBus also has a special 4-day pass for tourists. A more detailed Oahu travel guide for TheBus' routes is readily available from ABC Stores. However, it is advisable to rent a car if you are putting up outside the city and plan to visit the downtown areas or the beaches. Oahu also has a very well linked network of highways that connect every part of the island to one another. 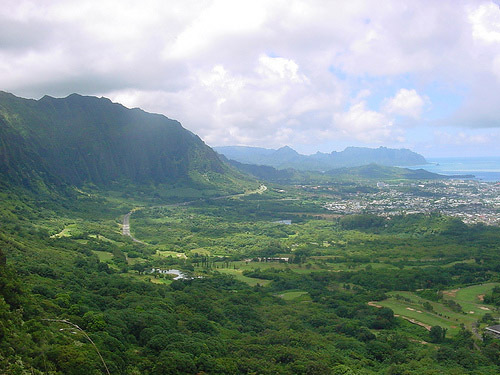 Bordered by the Koolau Range on the east and the Waianae Range on the west, Oahu can be divided into five distinct regions. The North Shore has most of the beautiful beaches and is extremely popular with adventure sports lovers. The gigantic waves and the winter surf on the North Shore are famous with surfers from across the world. The Windward Coast is home to many villages and secluded beaches. One of Pacific's largest Marine Corps bases is also stationed in this part of Oahu. On the other hand, the Leeward Coast is a relatively quieter place with just some rural communities and a couple of resort areas. The metropolitan areas and developed regions of the island are situated in Southern Oahu, while Central Oahu is primarily made up of bedroom communities and long stretches of pineapple fields. Oahu is known the world over for its stunning beaches and the endless opportunities they offer. There are more than 30 beaches on this island, with several of them stretching for over a mile along the shore. The North Shore is particularly famous for its pounding surf and huge waves which are a favorite with surfers and other adventure sports enthusiasts. This Oahu travel guide will tell you about some of the most amazing places to be at while on the island and the things you can do there. 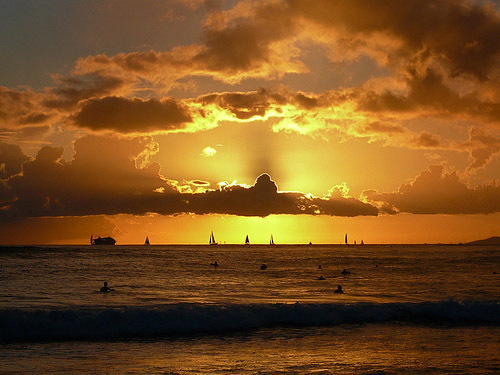 Waikiki Beach is one of the more popular ones where you can ride the waves on a catamaran. During summer months, this place is a favorite haunt of swimmers, bodysurfers, and amateur surfers. Sunset Beach, one of the longest beaches in Oahu, hosts several international surfing competitions. If you want to try out snorkeling, sailing, scuba diving, or windsurfing, some of the best places to visit are Kailua Beach Park, Lanikai Beach, Waimea Bay Beach, Sandy Beach Park, Makapu'u Beach Park, Pokai Bay Beach Park, and Mokule'ia Beach Park. The marine life in the waters surrounding Oahu is another thing to watch out for. It is as rare as it is diversified, and on a good day, you may catch a glimpse of the green sea turtle, eels, eagle rays, sting rays, spinner dolphins, and even white tip reef sharks. The Kuilima Cove, Hanauma Bay, Makaha Beach Park, and Kahe Point Beach Park are among the areas that abound in sea life. An Oahu travel guide is never complete without a mention of the island's cultural attractions. The historical and cultural heritage of this Pacific Island is preserved in its many buildings and other places of interest. 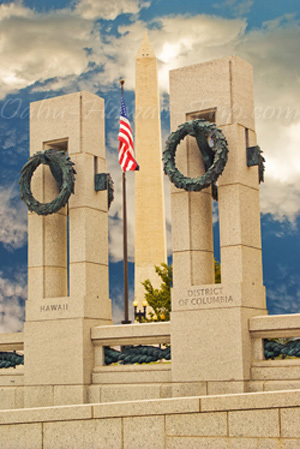 Pearl Harbor and the USS Arizona National Memorial are among the most popular tourist destinations on the island. Attacked by the Japanese during World War II, Pearl Harbor witnessed destruction on a massive scale leading to the death of over a thousand military and civil men. The 184-foot USS Arizona National Memorial is dedicated to the memory of those moored on Battleship Row, while Pearl Harbor Museum features various wartime memorabilia. Iolani Palace, the only palace on American soil, and Queen Emma's Summer Palace offer glimpses into the life of the Hawaiian monarchy. At the Polynesian Cultural Center you can see traditional Pacific Island villages that have been recreated and now include educational, hands-on exhibits. Established by a Hawaiian princess, the Bishop Museum houses the world's biggest collection of cultural and natural artifacts from around Hawaii and the Pacific. Another place you should not miss out on is the Honolulu Academy of Arts which boasts of kamaaina-style architecture, Asian art collections, and Hiroshige's ukiyo-e prints. Share Your Oahu Travel or Hawaii Vacation: We're looking for stories, tips and experiences from any Oahu vacation you've been on. Why not take a few moments and Share it with everyone! Save Vacation on Oahu Hawaii!! !